Summer-time = outdoor cleaning time. Thankfully my husband does an amazing job of keeping our outside clean, but occasionally things fall through the cracks. 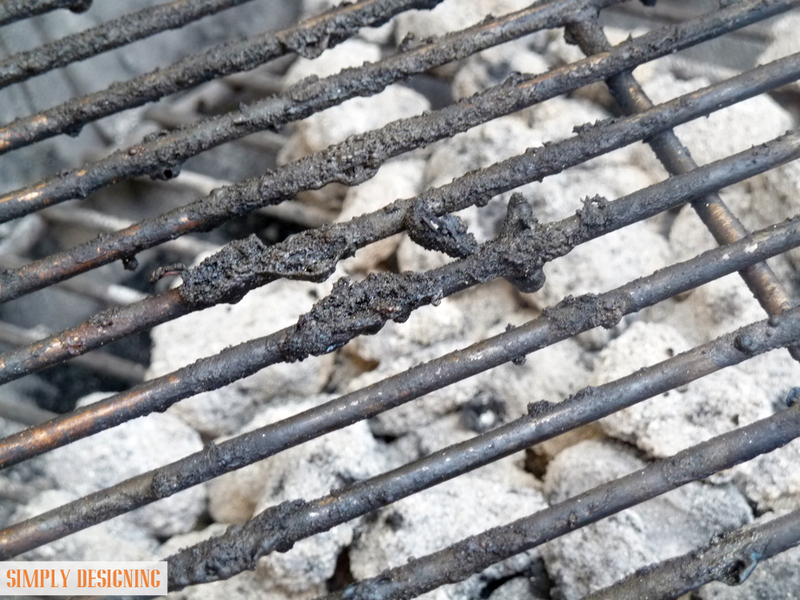 And occasionally, we *might* forget to clean our grill…for 2 years. Did I really just say that!? Ew. After we built our deck, we bought a brand new Weber grill! And while my hubby will do a quick scrub after each use…we haven’t actually CLEANED it for 2 years. Some say this adds flavor…I say…gross. 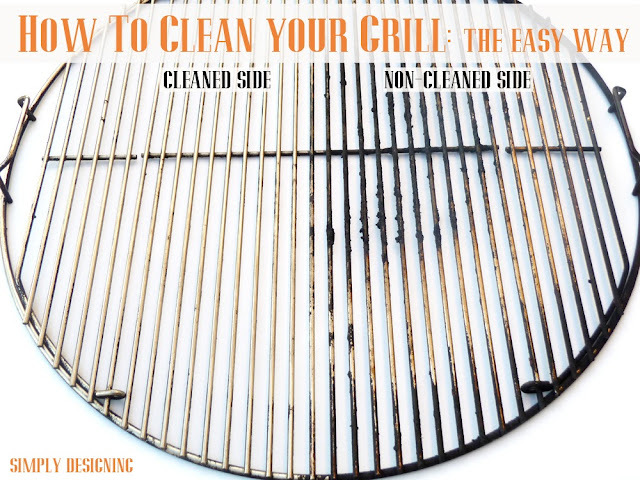 How to Clean Your Grill: The Easy Way!! I am excited to tell you that with ONE product and ONE brush…you can get your grill from blackened mess to sparkly clean: SIMPLY!!! 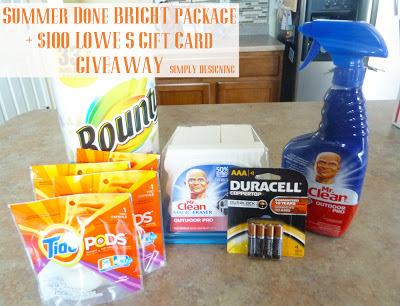 Lowe’s and Procter and Gamble sent me a great package that included some of their fabulous Outdoor cleaners! I didn’t even know that Mr. Clean had an Outdoor Pro Spray cleaner or that Magic Erasers came in an outdoor version! How cool is that!? So I was thrilled to get to put these products to the test! One lucky reader will receive the same package + a $100 Lowe’s Gift Card! Yup…here is a close up…it’s a blackened mess. Don’t worry…if you come to eat at our house and we grill, I promise this DOES get scrapped off before grilling…but it just hadn’t happened after the last time we grilled. So I grabbed my Mr. Clean Outdoor Pro Spray and sent to work cleaning my grill grate! 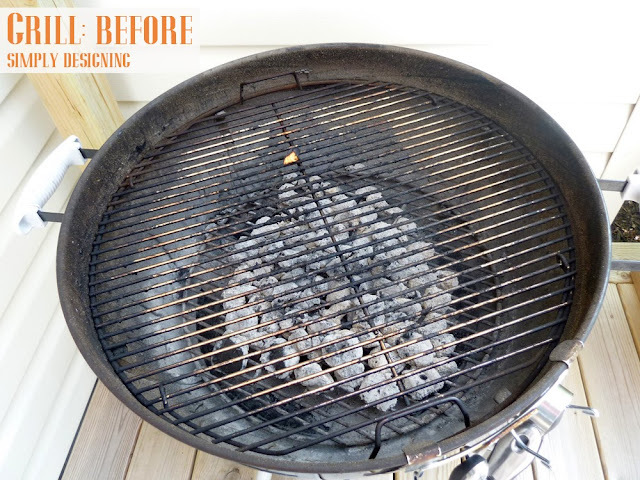 Using our wire Grill Brush and Mr. Clean Outdoor Pro Spray we managed to take our grill from gross blackened mess to sparkly silver clean in only about 15 minutes!! Whoa. I was simply blown away! 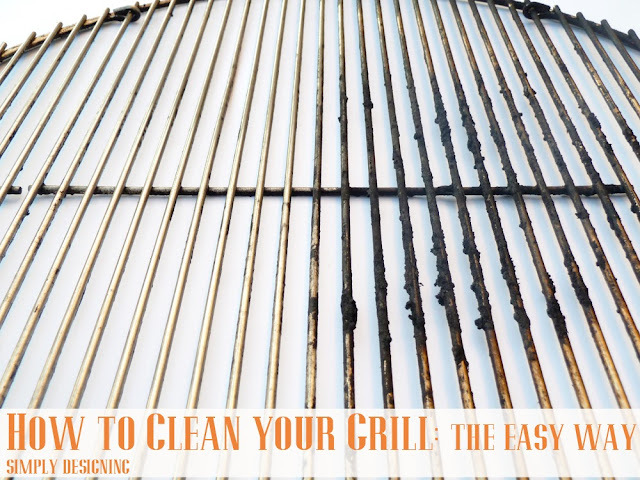 I was blown away by how simple it really was to get my grill grate clean using only one product and about 15 minutes of my time!! Mr. Clean Outdoor Pro Spray cut through the grease and grime and caked on blackened mess! I didn’t even know my grill grate was silver underneath it! haha But this one product managed to help me get it clean with very little work! Summer is just around the corner and Lowe’s wants you to Go Outside and Shine! 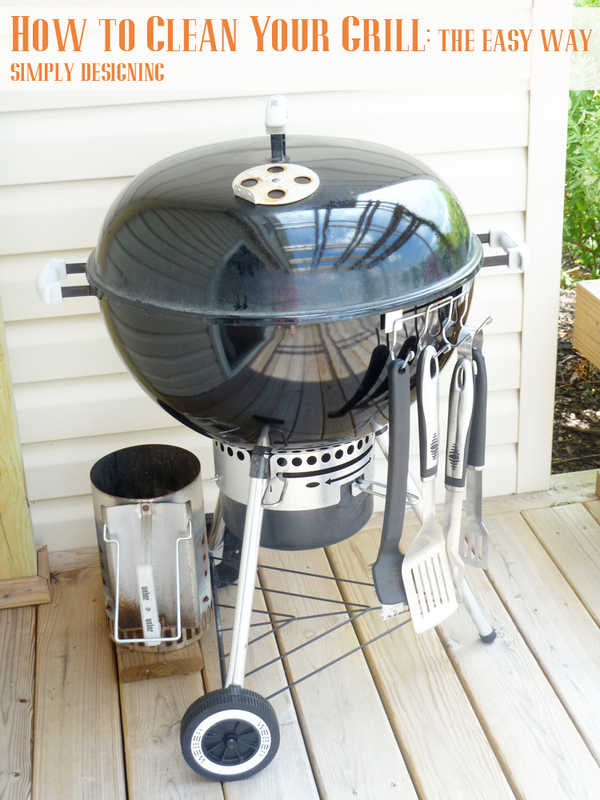 Grills, garages and patio furniture are usually among the outdoor items that need to be cleaned most. 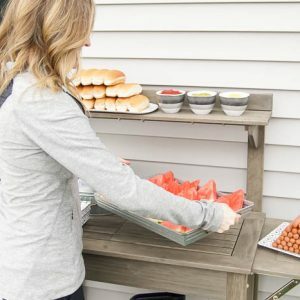 So Lowe’s is inviting you to get your outdoor space ready for summer entertaining by using Mr. Clean Outdoor Pro Magic Eraser, Mr. Clean Outdoor Pro Spray, Bounty, Tide and Duracell to tackle your biggest outdoor messes! 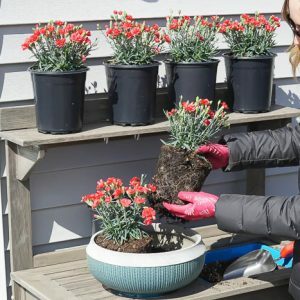 So when you head to Lowe’s to pick up your flowers and mulch, be sure to stop by their amazing cleaning product aisle to pick up everything you need to get your outdoors ready for summer entertaining! To find out more about these great products and to get great summer outdoor cleaning tips, visit the Lowe’s website. What an amazing prize pack!! Use the Rafflecopter entry form below to enter to WIN! Thank you so much to Lowe’s and Procter and Gamble for providing product for me to review as well as for providing this amazing prize package for me to giveaway to one lucky reader! While this post was sponsored, all opinions are 100% mine! I would clean my grill, too. 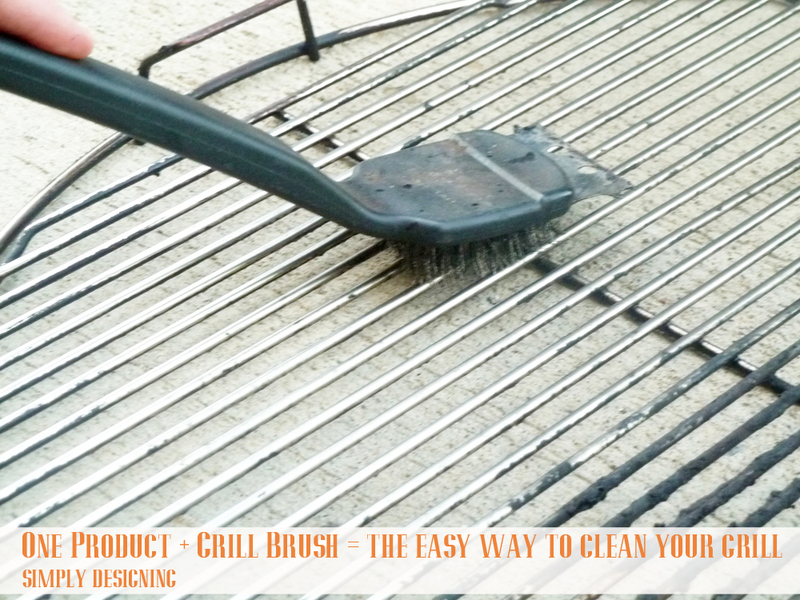 I would use it to clean my grill too, this is great! I would definitely clean our grill and stovetop. Thanks so much! oooo pick me…..we would clean the grill too.! Both grills – gas and charcoal. Sad to say but both are gross! No matter how I scrub, my grill never looks clean. I&#39;ll have to try this! We&#39;re right there with you on the 2 year thing, so I guess it&#39;s time to clean the grill! I&#39;d clean my grill and patio furniture! I would get our grill and patio picnic table set cleaned. I would clean the grill and patio furniture. Our grill could use a good cleaning- What other surfaces can Mr. Clean Outdoor Spray be used on? our decks were just powerwashed today…so everything out there is a mess…so I would clean it all!! Our grill grate could definitely use some attention! My patio furniture – boy, does it need a good cleaning. My grill needs a good cleaning! I would clean my grill – it is horrible! I would defiantly clean our grill with it. Our patio furniture and grill needs a good cleaning too. The grill, the porch, the outdoor furniture – everything! I too didn&#39;t know about the outdoor magic erasers. And I *love* those things. I need to find the outdoor ones, thank you! My patio furniture needs a thorough cleaning! I&#39;d clean our filthy grill and my front porch! Awesome giveaway…. thanks! I would definitely clean our patio furniture! Definitely would clean the grill!! And then the backyard porch/deck! I would clean outside…don&#39;t do it often enough. Then I&#39;d use the Lowes card to get something for my patio! Thanks for the chance! My kitchen is always messy! My grill needs grilling but my vinyl deck railing needs a good cleaning too. Grill And Oven Racks For Sure … The Gift Card Would Finish My Flowers. My fireplace could really use some cleaning! I would clean my grill, it really needs it! I need to clean my grill and patio furniture! Our grill is really needing a good clean. This would sure help! I really need to clean my grill! I would clean my grill as well. Looks great, can&#39;t wait to give this a try! Thanks! I&#39;d clean my grill and my outdoor patio set. You have inspired me, I would clean our grill. Yours looks great! our grill and kiddies outside furniture. I&#39;d clean my window wraps and my eaves. Our patio furniture needs to be cleaned and hubby probably needs to clean the grill as well. We have a smoker and an Infrared Grill…. both need a good scrubbing! I would clean my patio furniture and kids toys. And of course, the grill! My patio furniture could use a good cleaning. We just tried cleaning our grill tonight – seemed hopeless. This would be fantastic to help conquer that project and many others outdoors! I would start with my grill as well it&#39;s really pitiful! I have grill grates that look just like that, sighhhhhhh. I&#39;d also clean our grill — it came with our new house and it needs some serious scrubbing. 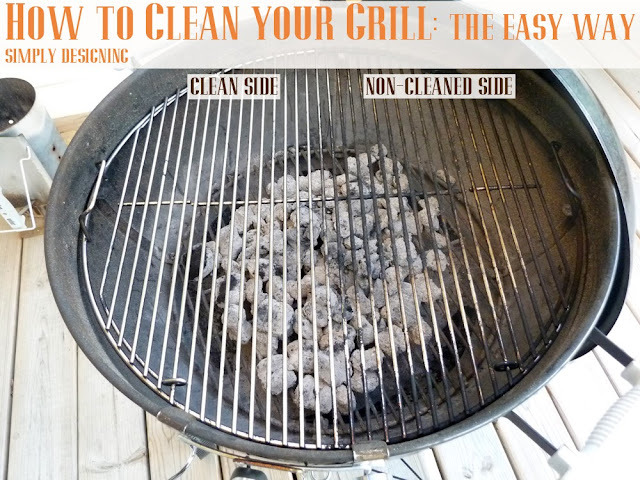 To clean our grill or inside our oven! I would clean the grill and patio furniture too. I would clean anything and everything! I NEED to clean my grill too! My grill needs to be cleaned, for sure! We love to cook out! I would definitely clean our grill! We&#39;ve convinced the in-laws to downsize by putting their house on the market, so we need to clean EVERYTHING! I would clean my patio furniture. It could use some extra TLC. I would definitely clean my grill! I would clean my grill. This looks like it works wonders! Recovered last summer from shoulder surgery, and outside cleaning didn&#39;t get done. Would love to win pkg to clean it well this year! The grill! Such a daunting task but so necessary! I would clean the grill and chairs on my deck! wow, that cleaned grill is impressive. our grill desperately needs cleaning so we&#39;d prob do that! It would be ME VS. THE BASEMENT STAIRWELL. The last owner of this house enjoyed her cigarettes… ew. I would clean the garage! I would clean up our garage and back porch! I love Mr. Clean. My outdoor furniture could use a cleaning, again! I would clean the grill and our patio furniture. Oh my patio furniture really could use a good cleaning! I would love to do those! Our grill and patio could really use a good spring cleaning. My grill is pretty ucky, so I&#39;d give it a good cleaning first! We have 2 enclosed porches and a deck so time for some Summer Cleaning of our semi-outdoor spaces. I need to go do this now! def the bbq – i dont think it has been really cleaned in 3 years! My grill needs more than a good cleaning. Our grill can always use the help! I would clean our grill more regularly, it actually caught fire last week because it was dirty! First the grill, then the patio furniture! We are buying a foreclosure…so I will be cleaning an entire house, top to bottom!! I would clean the baseboards of the house and the grill! I would clean my grill and furniture on back porch. Oh, my grill is a mess! It would be first on the list. Just gave my husband a grill for father&#39;s day (from Lowe&#39;s) and I would love to keep it clean. I would be finally get my outside stuff cleaned lol!! Have a similar grill (very gross looking) and the windows! I would start with the grill and then move on to the outdoor chairs. our patio furniture needs some attention! Clean the grill, it&#39;s yuck right now! I would deep clean my kitchen! It needs it! I would clean our grill and screened-in porch. I love Mr. Clean outdoor!